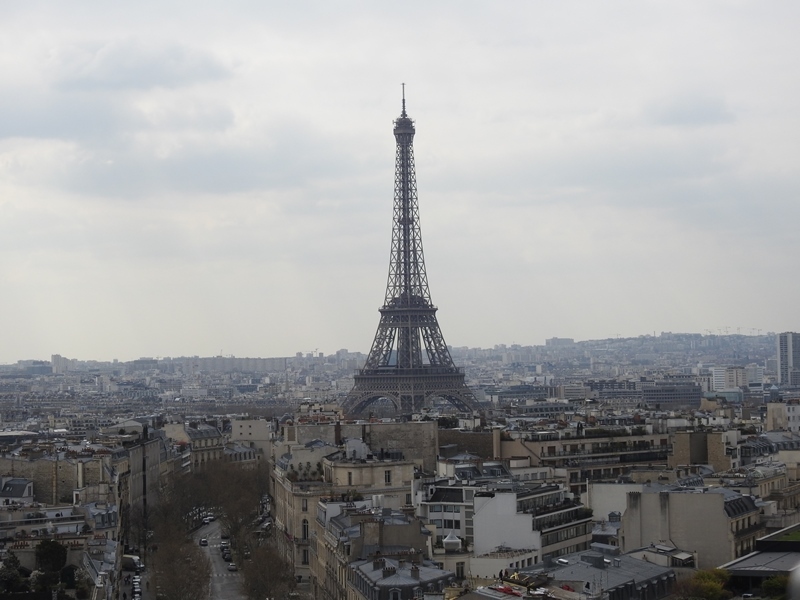 J’aime Paris! 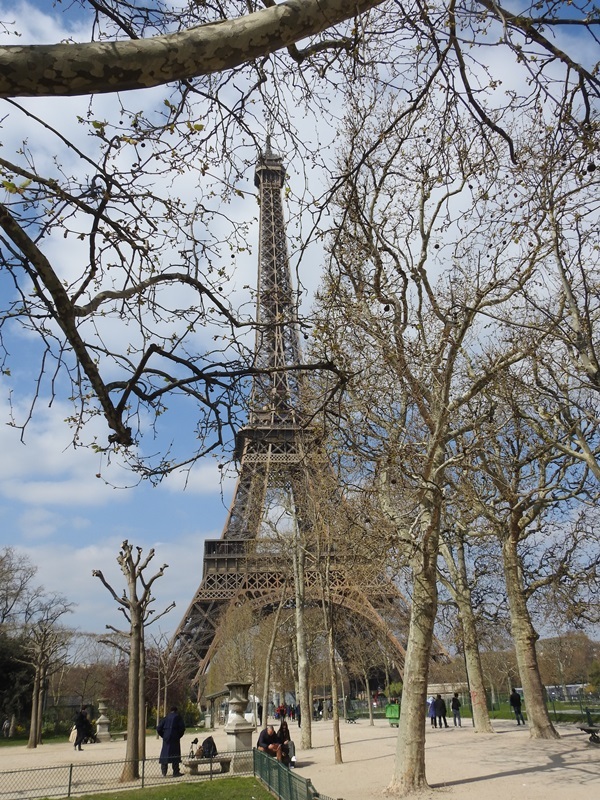 What a beautiful city and a wonderful day we have had. 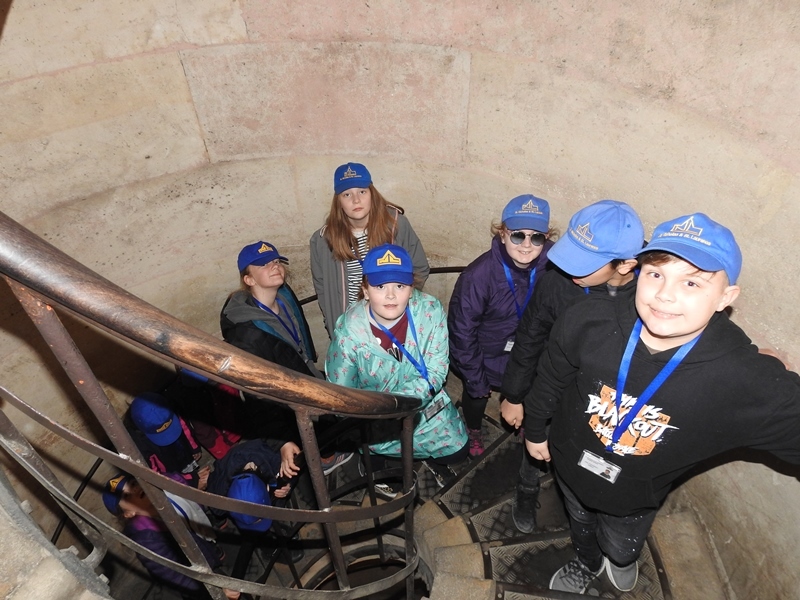 The day started with all the children excited about what was to come. 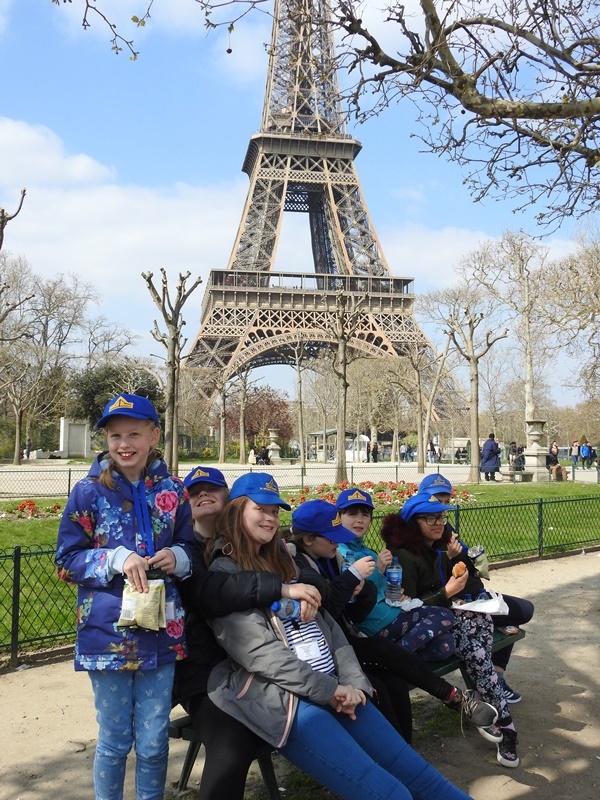 We had another continental breakfast and headed for the coach. 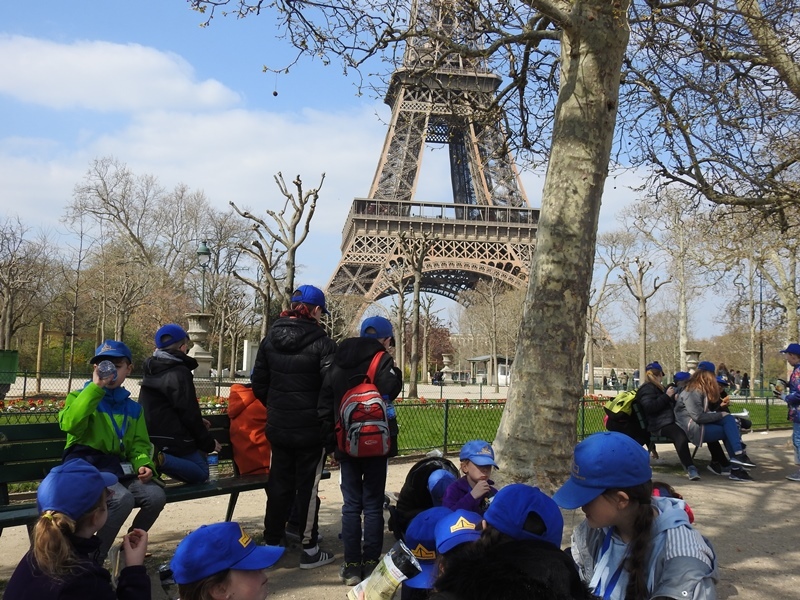 Our PGL tour guide, Ryo, did a French quiz on the way into the city; we also learnt some French phrases. 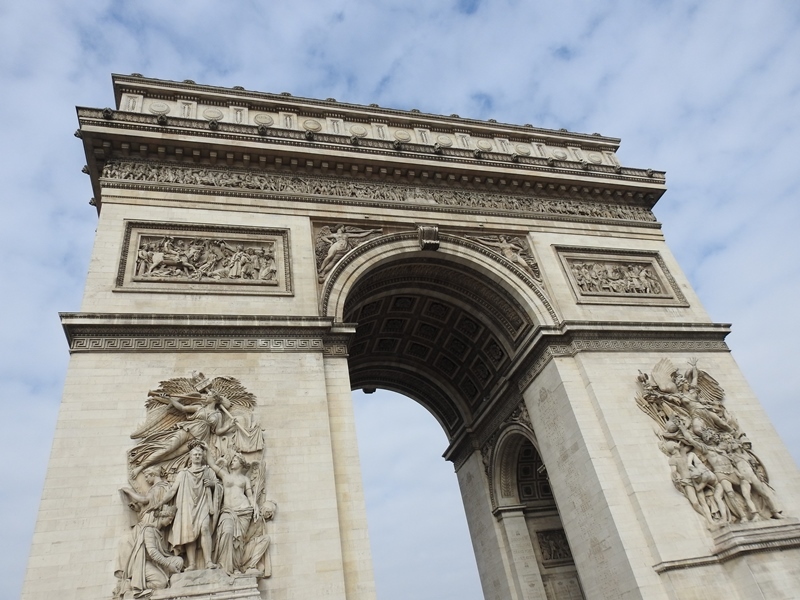 First up on the itinerary was the Arc De Triomphe, this spectacular building is 50m high and is also the resting place for the tomb of the Unknown Soldier. 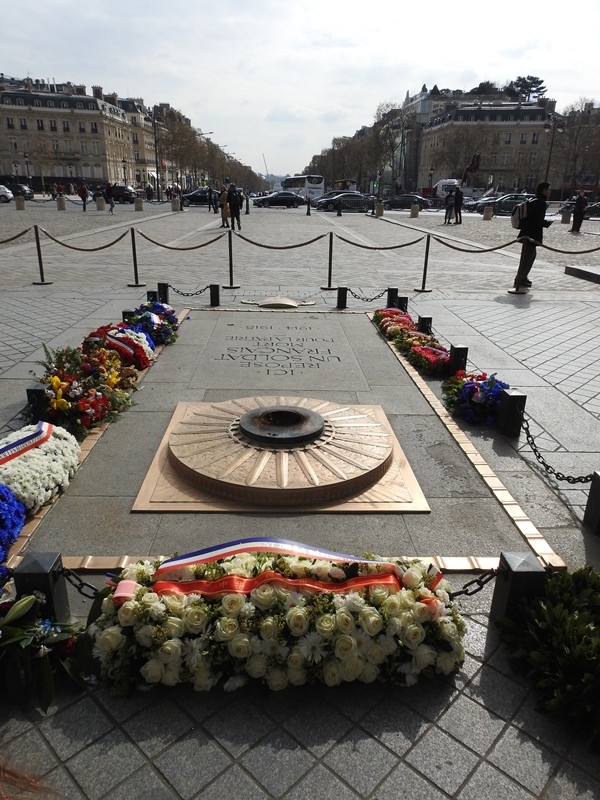 The tomb has an eternal flame burning which is burning in memory of all the dead who were never identified in both world wars; the fire has been burning since 1921. 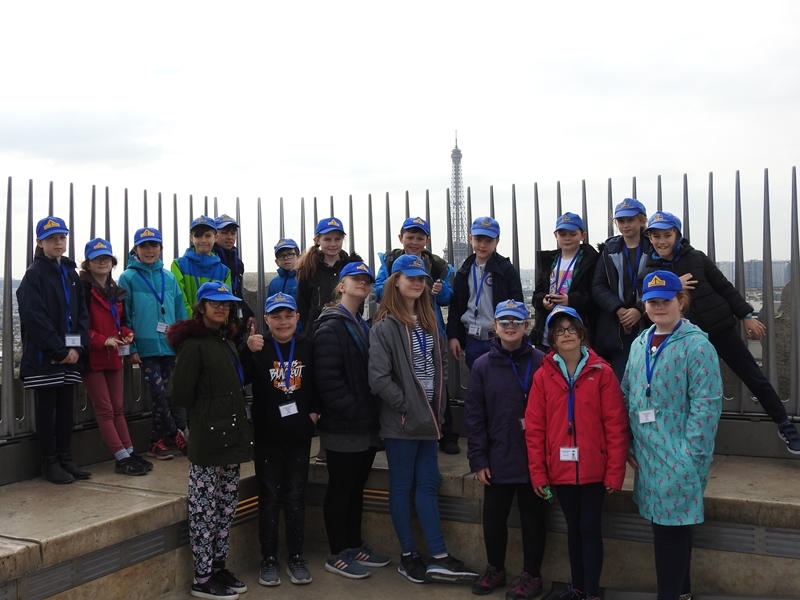 We climbed the numerous stairs up to the terrace of the arc and the views from the top were amazing – you could see the Eiffel Tower situated amid the whole of Paris – it was breath-taking. 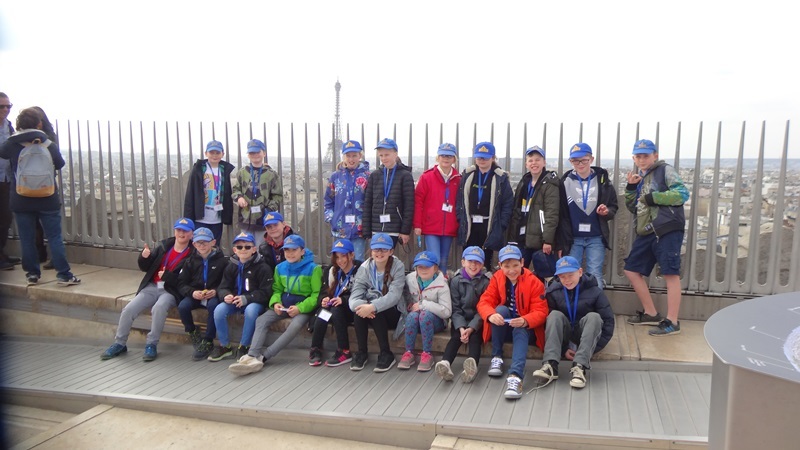 The children loved it and even those that were a bit wary of the height of the building were enjoying the views and taking lots of pictures! 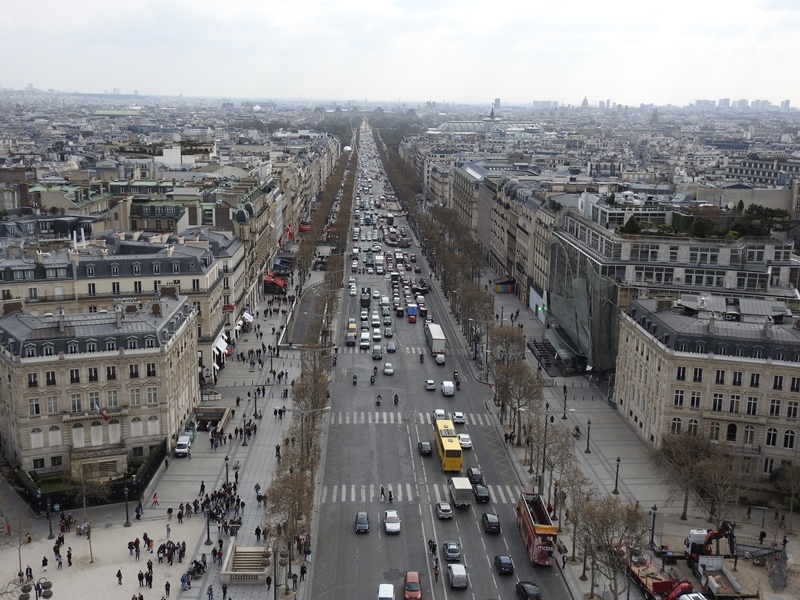 After coming down from the Arc de Triomphe, we had to navigate the ridiculously busy roundabout of the Place Charles de Gaulle. 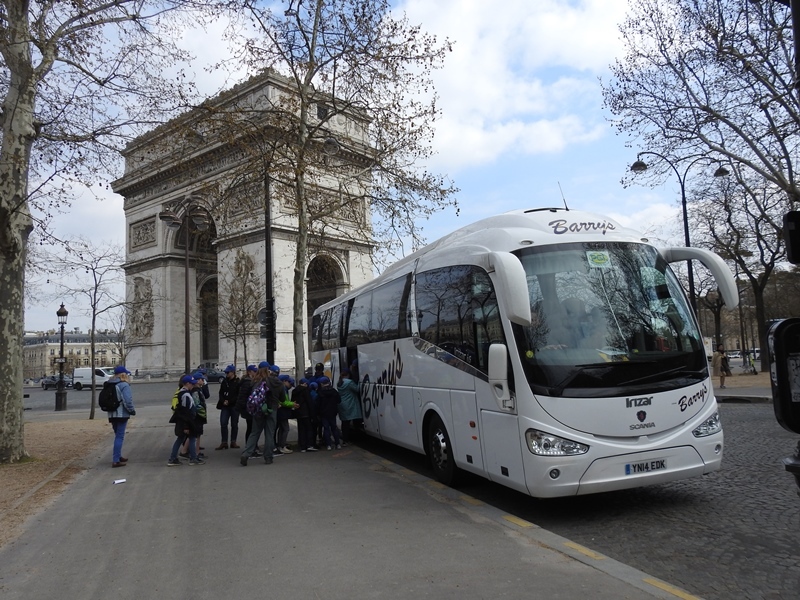 The driver of the coach was telling us that there is a blue line on the road and if you have an accident within that line, insurance companies will not pay out! Needless to say we had an amazing driver, Mark, who also celebrated his birthday today, and he got us safely round the whole city. 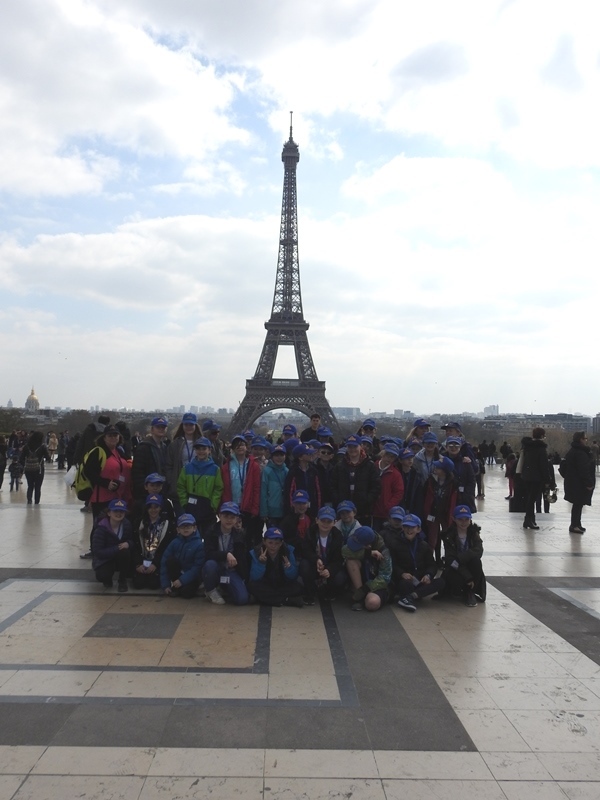 Next up was the Eiffel Tower, the pièce de résistance of the city. 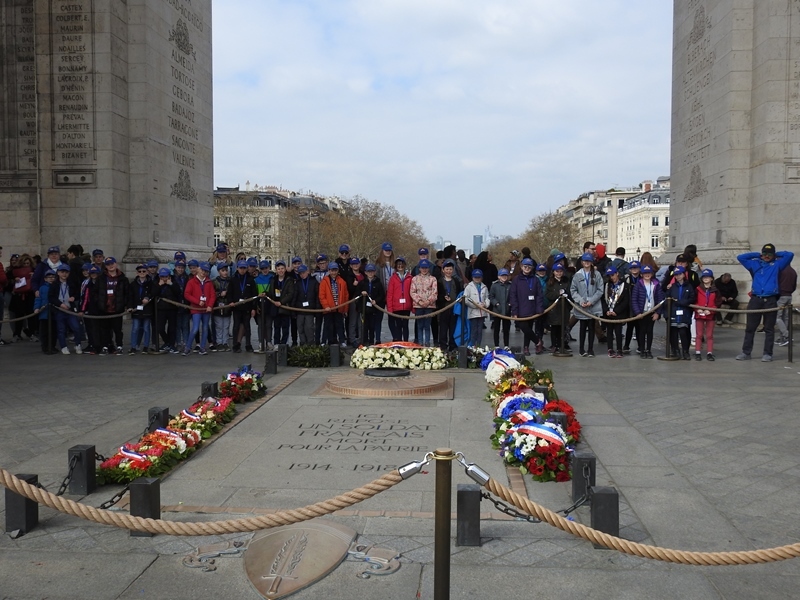 The children were in awe of how tall it was. 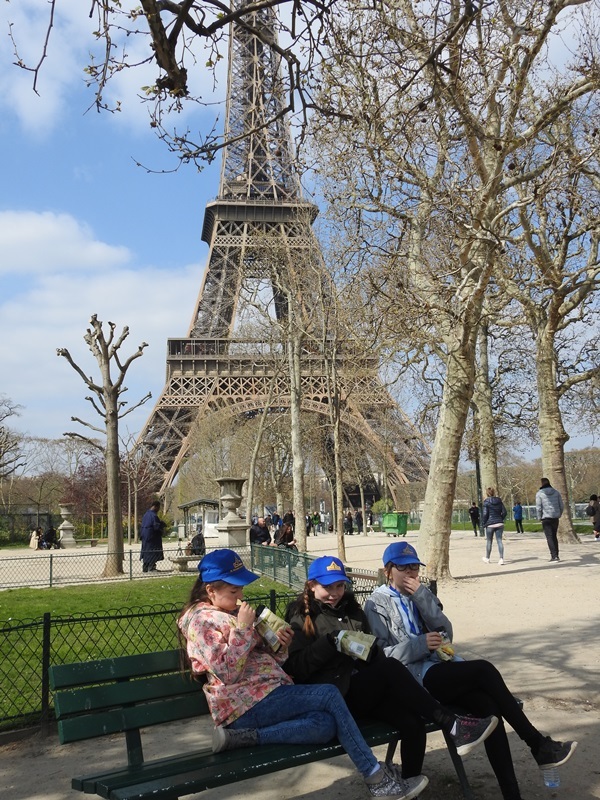 We walked all the way around it and had lunch, consisting of baguettes, crisps and cake, right near it. 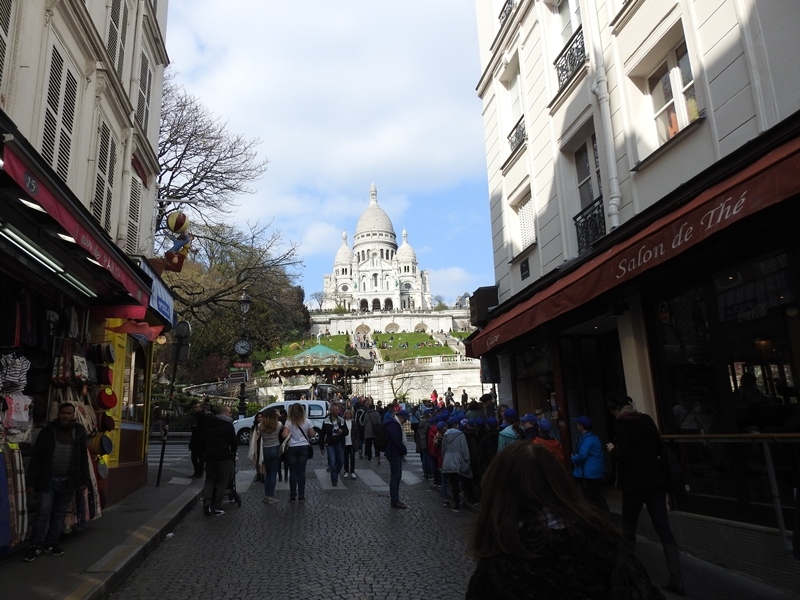 Following lunch, we got back on the coach and headed towards the Sacre Coeur. 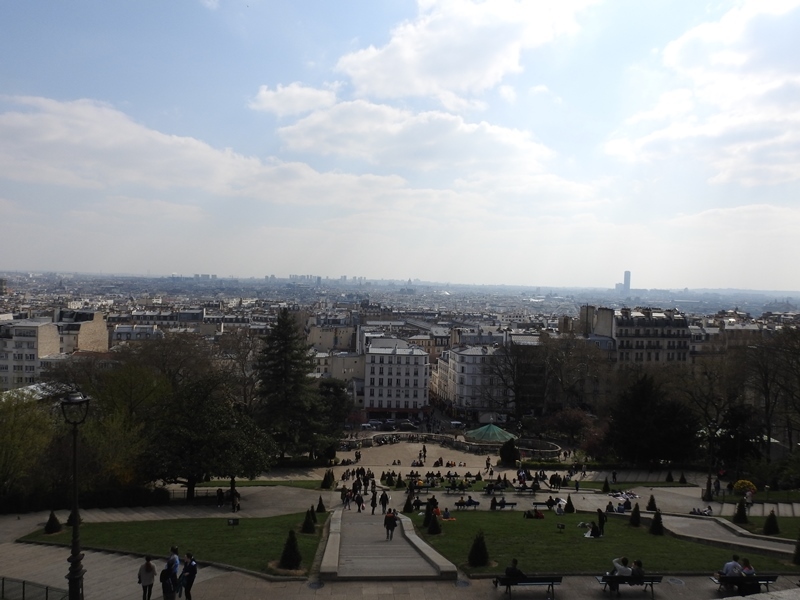 We walked all the way to the top and once again had amazing views over the city. 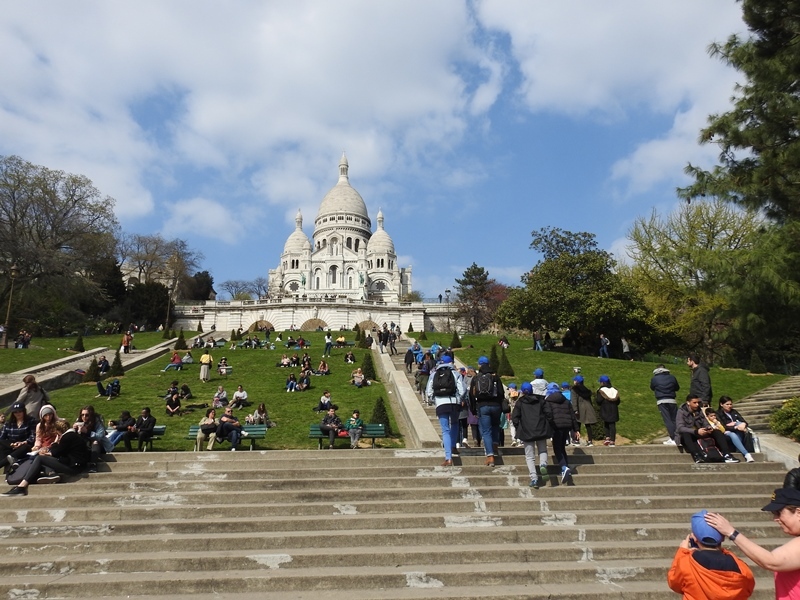 We also went into the Sacre Coeur, another beautiful church to walk around. 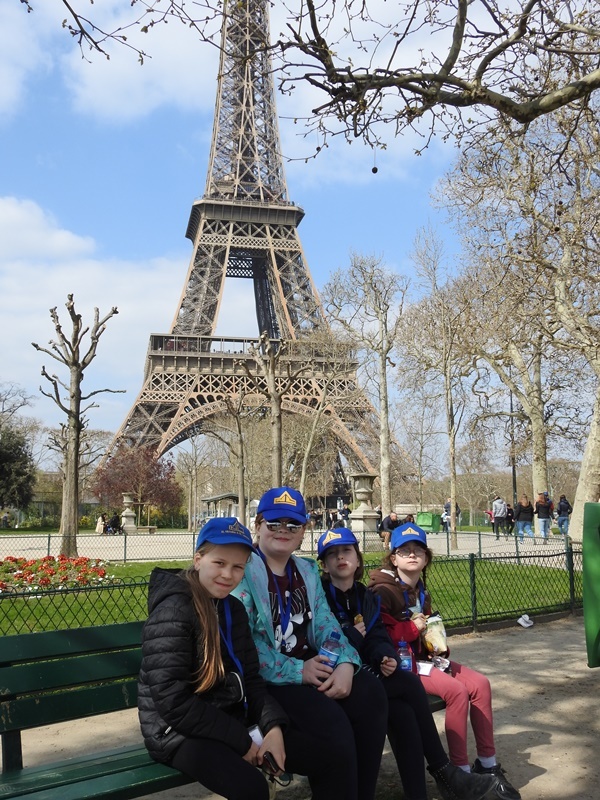 We then gave the children some time to buy some souvenirs, they really enjoyed getting to spend their money and have got some really nice mementoes of the trip. 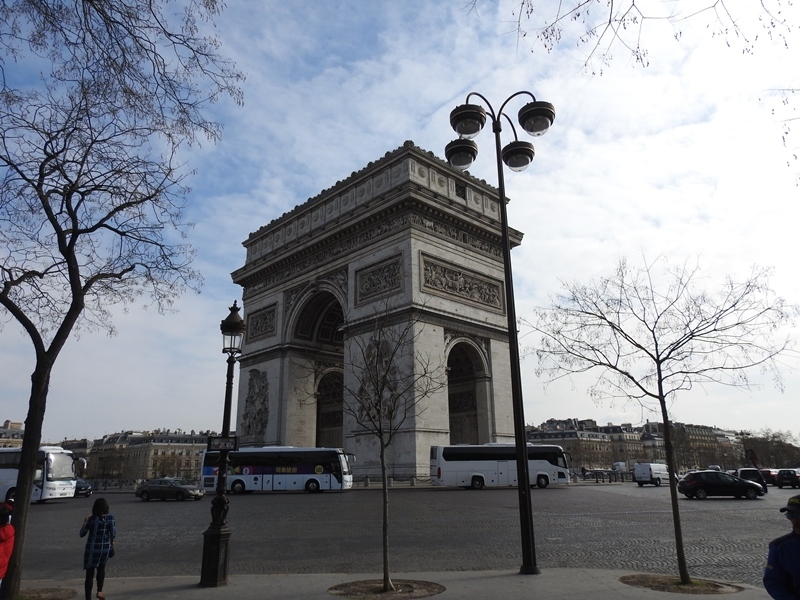 Finally, we walked back to the coach and allowed Mark to drive us through all the heavy traffic back out of the city. 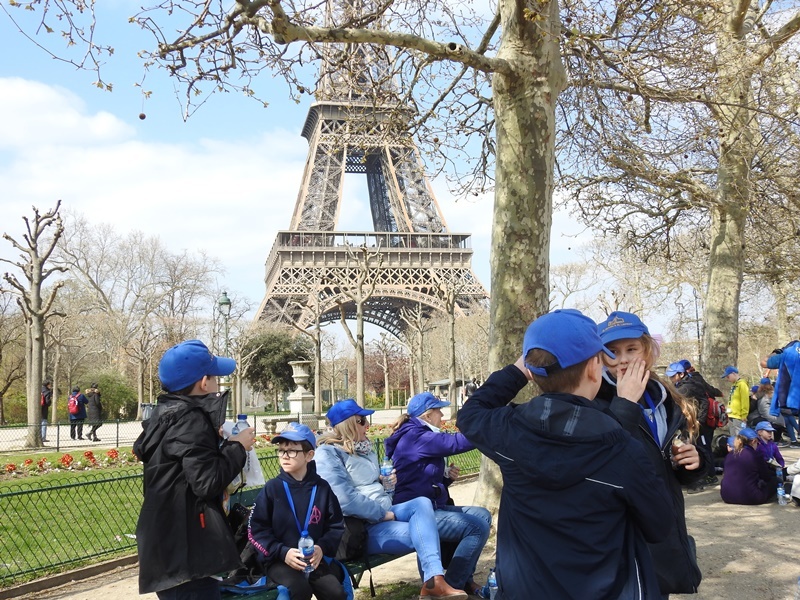 A lot of the children managed to catch a few zzzzz’s on the way home. The dinner tonight consisted of spaghetti, Bolognese, garlic bread and doughnuts. After a long day this was really needed and all the children ate a good meal. 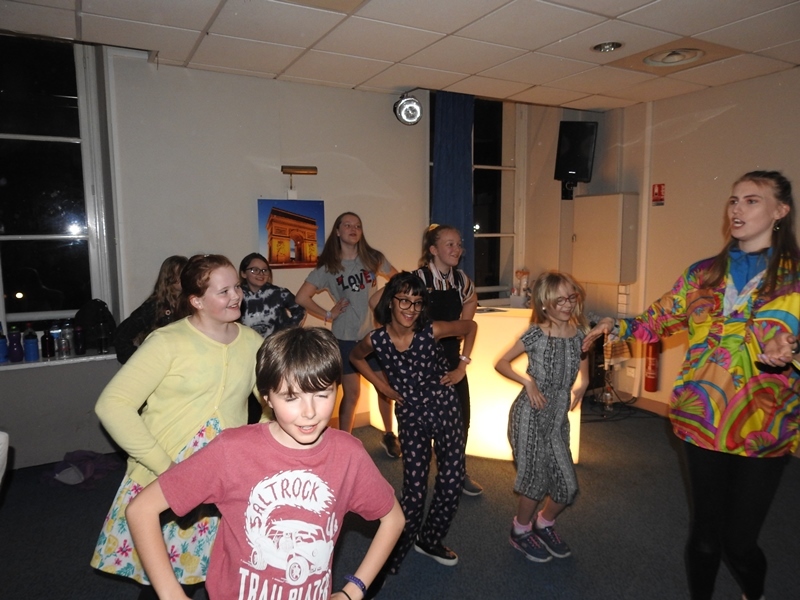 To finish the day, we had a disco in the chateau where we saw some amazing dance moves! 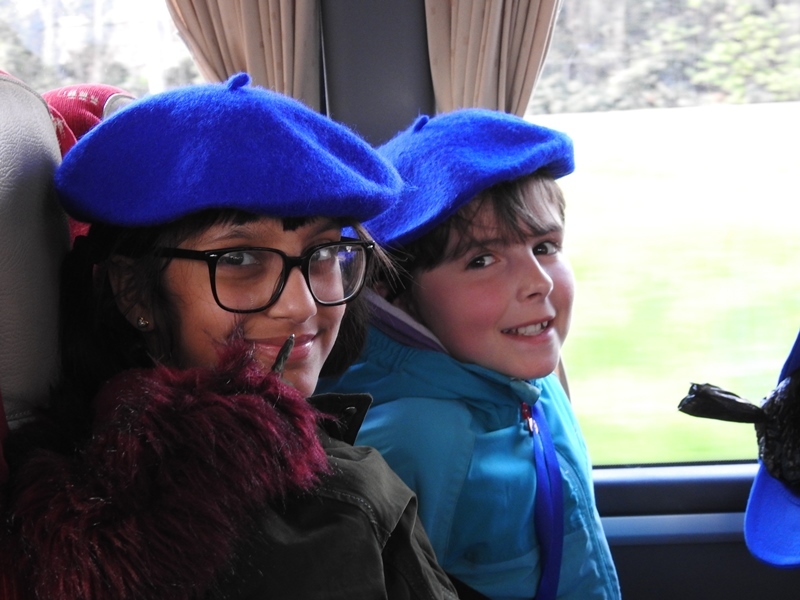 The children are once again in bed exhausted and very excited for what tomorrow holds – Disneyland! Another exciting day! Glad the weather is good for you too. Enjoy Disney!